Focus on the urgent need for education and prevention programs, and o Expand awareness of new treatment modalities. (From the American Thyroid Association) The thyroid gland, butterfly-shaped and located in the middle of the lower neck, produces hormones that influence every cell, tissue and organ in the body. The thyroid hormones regulate the body’s metabolism—the rate at which the body produces energy from nutrients and oxygen—and affects critical body functions, such as energy level and heart rate. I am one of the tens of millions of people who have been challenged with thyroid issues. In 2012, I had my thyroid removed due to cancer. Over the course of many posts in this blog, I’ve thanked doctors, nurses, techs, co-workers, friends and family members. 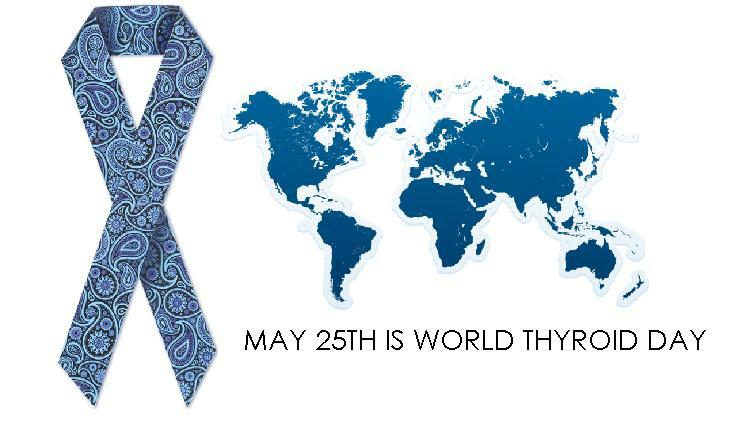 In honor of World Thyroid Day, check your neck, hug your family, and thank the ones who’ve helped you to be who you are today!